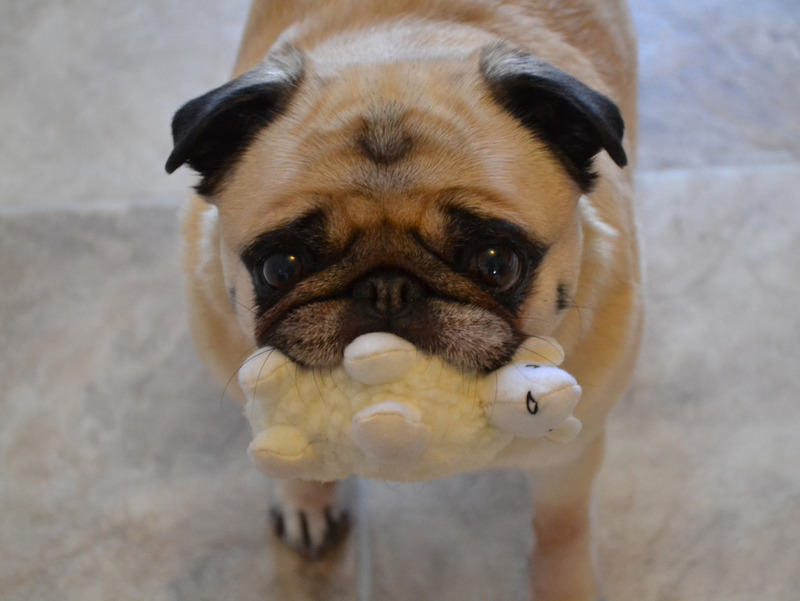 Play time with your pug is one of the most important (and awesome) times of the day! Our pug knows that we have dedicated a chunk of time after breakfast each day for some serious play time, and she loves to bring us her favorite toys as we’re finishing up our bowls of cereal each morning. It looks like our friend here is ready for play time as well!